Situated in Hays County, with parts stretching out into Caldwell County and Guadalupe County in the eastern central part of the state, San Marcos is a small, attractive Texas city with a lot to offer. It's part of the Austin - Round Rock - San Marcos metro area, being conveniently located for visits to the state capital. Home to around 62,000 people, San Marcos was founded centuries ago and is believed to be one of the oldest continuously inhabited locations in all of North America. It's home to Texas State University and is consistently ranked as a great place in which to live and work, especially for families. San Marcos is one of the fastest growing small cities in the state and is situated in close proximity to various parks and green spaces like Five Mile Dam Park, Rio Vista Park, Sewell Park, and Purgatory Creek Natural Area, with the Blanco River and San Marcos River flowing through the city too. This means that all sorts of outdoor recreation can be enjoyed in San Marcos, making the city a popular spot for camping and RV trips. If you're planning an RV trip to San Marcos, you'll have to choose between several highly rated RV parks and campgrounds. See below for overviews on all the best RV parks in San Marcos, TX. One of the best rated RV parks in the San Marcos area, Blind Salamander RV Park has proven popular with many RV enthusiasts for its nice layout and prime location near the center of the city. Offering very easy access to all the main attractions of San Marcos, this RV park can let you relax and enjoy your time away without needing to make any extra efforts. Blind Salamander RV park feature 40 full hook-up RV spaces wit 30/50 amp electric, sewer, and water. You'll also get internet access at each RV site, and all roads and spaces are lined with gravel to make it easy to get around without any mess. This is a no-frills RV park, meaning you won't find too many amenities here. There aren't any showers, for example, or laundry machines, but there is direct access to the San Marcos River and very low rates, with weekly stays available for only $200 and monthly stays for just $500. So if you’re traveling down to San Marcos on a budget, you might find a lot to love about the Blind Salamander RV Park. Located in the center of the city, Pecan Park Riverside RV Park is another amazing RV park to choose in San Marcos, TX. This RV park is one of the oldest in the region, having been established way back in 1968. As time has gone by, many local RV parks were forced to shut down, but Pecan Park Riverside RV Park has evolved and adapted with the times to maintain its status as one of the very best RV parks in the city, offering excellent levels of service and super amenities for all guests to enjoy. Spread out across 24 acres of scenic land right on the banks of the San Marcos River, Pecan Park Riverside RV Park provides spacious RV sites, some of which feature waterfront views. The rates are great at this RV park, with special offers like 'Buy 2 Nights, Get 1 Free' helping guests save even more cash. The amenities at this San Marcos RV park include 20/30/50 amp power, water, sewer, high speed Wi-Fi access, cable TV, a hot tub, an indoor swimming pool, a children's reading area and outdoor play zone, big rig friendly spaces, laundry machines, a general store selling plenty of supplies and essentials, firewoods sales, propane sales, grills, picnic tables, and more. Situated right in the heart of the city, San Marcos Springs RV Park provides the perfect base for any RV enthusiasts looking to explore the local area and visit the key landmarks and points of interest. Featuring wide, pull-thru spaces and full hook-ups, this RV park gives you all you need to enjoy your time in a home away from home. Daily rates start at $50 at San Marcos Springs RV park, with the fee rising to $250 for a weekly stay or a minimum of $500 for a month. 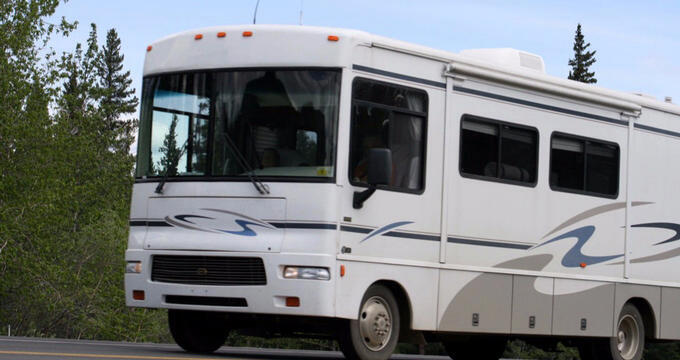 Each site is equipped with all the utilities and services you'd expect, and the RV park itself features wireless internet access, on-site management to deal with any problems or queries that might arise during your stay, clean bathrooms, a smart self check-in system, and even a restaurant for those nights you want something special to eat.